PMI is the world’s largest project management member association, with more than 600,000 members in over 185 countries. PMI research further indicates that “every year, the skills shortage will open an estimated 1.57 million jobs across the globe for workers new to project management.” The median salary for a Project Management Manager is estimated at $130,000 in 2018, with a common range of $116,000-$146,000, according to Salary.com. If you’re interested in a career in Project Management, you can earn an undergraduate certificate in project management online in as little as six months. Getting a certification is a great way to build out your experience without committing to a long term program that might not be a great fit. 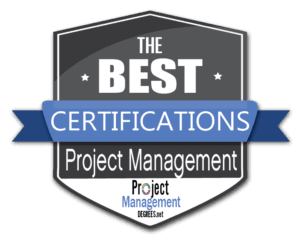 If you’re interested in business, management, entrepreneurship, non-profit work or truly any type of work that requires consistently meeting organizational goals, a project management certification can teach you a lot. In these programs you’ll take project management specific courses that can be applied to a Bachelor’s degree, used immediately in your current career, or to help you transfer into a PM role. We’ve ranked the following programs based on their affordability, the length of the program, academic prestige and more to give you a bevy of excellent choices for your project management undergraduate certification. The University of Wisconsin is a public research university system. Its Madison campus is the largest and oldest in the system. It’s the flagship University for this gigantic, historic university system (one of the oldest and largest in the country). It was founded in 1848, and now has 20 schools and colleges, offering tens of thousands of enrollees access to 136 undergraduate majors, 148 master’s degree programs and 120 doctoral programs. UW’s Flex option lets students access a competency-based approach to learning, in which they study one individual skill or learning outcome at a time, and must master it before moving on to another. This way students and faculty make sure there’s no wasted instruction, and that students are absolutely ready for the next skill or competency that builds towards their overall learning goals in the program. The program can be completed in 3 months. It’s suited for people at many stages in their educational and professional careers. A University of Wisconsin credential is widely valued, and the impressive alumni network could significantly benefit graduates. Use current project management software. Comprehensively and successfully manage complex projects with a variety of methods and in the face of innumerable obstacles. Make decisions and manage projects in a quick, and economically prudent manner. Analyze ongoing projects, especially considering their ability to hit deadlines and efficiently use resources and labor. Control and supervise all aspects of a project, and then debrief peers and superiors about the results of it. This program consists of three classes: Essentials of Project Management, Project Profile, Scope and Integration, and Organizational Communication. Ohio University is a massive public research university headquartered in Athens, with a number of other regional campuses. It’s the oldest university in Ohio, and was created by the state in 1804. OU offers undergraduate programs in 250 areas of study, and graduate degrees in most of its departments, including Arts and Sciences, Business, Communication, Education, Engineering and Technology, Fine Arts, Health Sciences and Professions, Leadership and Public Affairs, Medical and Graduate Studies, among others. Over 29,500 students attend the school (18:1 student-to-faculty ratio). 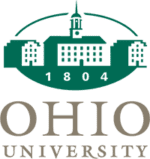 Its eCampus offers free online tutoring services, and a survey that allows students to assess their readiness to start an online program at Ohio University. OU offers a Project Management Certificate that can be completed in 15-16 hours of residential study, or one year of work. It’s comprised of four courses: Project Management, Management, Accounting and Computer Methods. Anyone earning an online or on campus OHIO Bachelor’s degree. This certificate can also be taken entirely online. Gives students a great resume credential. Students looking for activity-based work will be extremely satisfied. The program builds skills that will help yourself and others on task, on time, and on budget despite unexpected obstacles. Undergraduate students who want to enter the work force with much more project management experience than their peers, or who are looking to earn a graduate degree in project management. Colorado Christian is a private, interdenominational Christian university based in Lakewood, Colorado. It was created in 1914. CCU currently serves over 7,000 students, offering a 16:1 student-to-faculty ratio. Its degrees are conferred through its College of Undergraduate Studies and College of Adult and Graduate Studies. CCU students can access over 100 degree programs and licensure and certification programs through them. The American Council of Trustees and Alumni has given CCU an “A” grade many times, based on a comparison of CCU and over 1,000 other universities. The schools were measured for their strengths in composition, literature, foreign language, American history, economics, mathematics and science, then given an overall grade. Critical and strategic thinking skills. This program takes six months to complete. It requires 12 credit hours and classes are usually completed in 5 week sessions. It can be taken as a stand-alone program, or students can transfer its 12 credits to a CCU bachelor’s degree in Organizational Management in Project Management. The Project Management Certificate can also be used towards earning a CCU bachelor’s degree in Accounting, Business Administration, Information Systems Management, or Organizational Management in Christian Leadership or Human Resource Management. Colorado State University is a public, land-granted University. It was founded in 1870. CSU is known for its high quality, accessible education, especially through their online Global Campus. By 2020 CSU predicts they will serve 35,000 students. Today its Global Campus is attended by over 11,600 students, and offers a 32:1 student-to-faculty ratio. CSU Global gives students access to 13 bachelor’s degree programs and 19 bachelor’s degree specializations, which allow students to easily combine credits earned from other sources to complete their degree. It also offers 11 master’s degrees with 20 specializations. In the 2015 edition, U.S. News and World Report’s “Best Colleges” put CSU at #121 among public and private national universities and 58th among public universities. 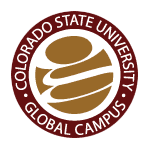 Colorado State University’s Global Campus allows students to select from all of their course options in online formats. Students are allowed to transfer up to 90 credits from other institutions towards their Bachelor’s Degree. Classes are offered in accelerated 8-week formats, and begin every four weeks, giving students significant schedule flexibility. The program can be completed in a year, but as CSU notes, “With 100% online classes that start monthly, you complete your coursework when it’s most convenient for you. No set class times or locations lets you continue to work full-time, take care of your family, travel the world, or whatever else you want while you invest in your education.” Through this program you’ll learn to set goals, identify what leads to success, motivate team members accomplish organizational goals, build overall strategy from an upper management perspective, determine tasks and timelines, and much more. Regis University is a private Jesuit university founded in 1877 and based in Denver, Colorado. It’s one of the 28 member institutions of the Association of Jesuit Colleges and Universities. U.S. News and World Report has ranked Regis 23rd among regional universities in the western United States. In 2013, Regis appeared on that ranking for 22nd year in a row. Currently, Regis serves over 8,300 students while maintaining a student-to-faculty ratio of 14:1. Annual tuition for the 2017-18 academic calendar totaled $34,450, though 67 percent of full-time undergraduates received financial aid, with the average scholarship for a Regis student coming to $17,582. Regis University is used to accommodating distance learners, as 48% of its undergraduates and 51% of its graduate students are enrolled in online courses. The university also offers 42 distinct online graduate degrees. It takes six months to complete this program. It was designed according to core processes found in the Project Management Body of Knowledge® Guide (PMBOK® Guide) and its outcomes are consistent with those laid out by the PMI Global Accreditation Committee. Students in the program will learn about “project management development processes, including initiating, planning, executing, monitoring and controlling, and closing the project.” You’ll also learn business functions, values, decision-making abilities, and leadership skills that successful project managers employ every day. 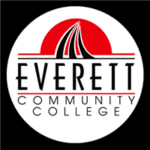 EvCC is a public, community college, located in Everett, Washington. It also has campuses throughout Snohomish County. The school was founded in 1941. It offers 90 different majors and programs. Currently, there are over 7,600 students attending Everett, which offers a 15:1 student-to-faculty ratio. It’s known for letting students start four-year degrees affordably, offering hands-on professional training, earn certificates, and so much more. EvCC offers traditional classroom courses, as well as courses online through their CANVAS learning platform. Practical approaches that can be used professionally immediately. Classes that count toward Project Management Professional (PMP)® and Certified Associate in Project Management (CAPM)® certifications. Students can choose to complete the program in as little as six months, or take longer if they need to. It has been reviewed and approved to provide project management training by the Project Management Institute (PMI). Curriculum based on A Guide to the Project Management Body of Knowledge, (PMBOK® Guide). The City University-Seattle and EvCC have partnered to offer students training for industry employees. As part of this certification, you can earn credits towards a Bachelor of Arts Degree in Management – Organizational Excellence. Columbia Southern University is a for-profit university that was founded in 1993. It specializes in distance education. The school is based in Orange Beach, Alabama. Over 21,000 students attend CSU, which has a 70:1 student-to-faculty ratio. Columbia Southern has been accredited by the Distance Education Accreditation Commission (DEAC). CSU has been approved to offer up-front tuition assistance through the U.S. Army’s centralized tuition assistance portal, GoArmyEd. Columbia Souther University offers 26 degrees at the associate, bachelor, and master levels, as well as 21 certificate programs, all online. CSU is known for its open enrollment and low tuition. CSU notes that most students complete the program in 18 months. Learning outcomes include evaluating main goals of project management, using project management tools to organize projects, make decisions efficiently and much more. Grantham is a for-profit university based in Lenaxa, Kansas. It was established in 1951, the school has over 8,600 students (21:1 student-to-faculty ratio). Many of Grantham’s students take take their classes entirely online. In total, Grantham offers over 40 accredited online certificates and degrees through its Business school, Colleges of Engineering and Computer Science, Arts and Sciences, and Nursing & Allied Health. In 2006, eLearning World University Rankings ranked Grantham University 13th out of 27 American online colleges. Grantham has also been ranked highly as school for veterans and active military members. In 2015, Grantham received accreditation for its business programs through the International Assembly for Collegiate Business Education (IACBE). Each course is three credits. The program gives graduates a thorough understanding of the ten PMBOK® knowledge areas, scheduling, research, development and analytical skills, among many other learning outcomes. 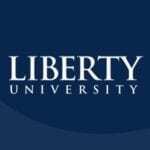 Liberty is a private, non-profit Christian doctoral research university in Lynchburg, Virginia. The school was founded in 1971 by religious leader Jerry Falwell. Liberty has over 75,000 students attending its courses worldwide. It offers 290 bachelors, 315 masters, and 32 doctoral degrees through 17 distinct colleges. Over 85% of Liberty students take classes online. Liberty has been classified as a doctoral research university by the Carnegie Classification. There are over 300 different degrees and certifications offered through Liberty’s online wing. Liberty’s online programs were ranked 5th on BestColleges.com’s “Top 50 Online Colleges of 2018.” It has consistently been ranked highly for its Online Bachelor’s Programs, MBA program and other graduate business programs, graduate Criminal Justice programs, graduate Education programs and graduate Nursing programs. Students will learn the foundations of initiating, planning, executing, monitoring, controlling and closing projects. You’ll learn how business behavior works, while exercising your cost-efficiency skills, and learning how your social and technological abilities can be used to your advantage.